We deliver gas and diesel directly to our customer’s vehicles at their work locations. We refuel fleets of the wide array of vehicles throughout the Bay Area! We also offer assistance in earning your CDL or hazmat certification. 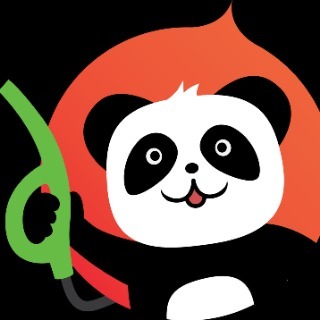 FleetPanda dispenses fuel to commercial vehicles in the Bay Area. As a Fuel Delivery Driver, you will drive a company truck to customer locations and refuel their fleets of vehicles using an automated pump similar to a gas station. We are a thriving, well-funded startup looking for skilled drivers with people skills, ambition, and the flexibility to work at a fast-paced startup. You will have the opportunity to work closely with the founder and executive team and be able to learn the operations of a growing startup. We are growing very quickly with many opportunities for advancement into hub manager, fleet maintenance, driver supervisor and even lead efforts as we launch in new cities. We want you to grow your career with us. Able to pass regular drug tests. Clean driving record: no more than 2 points and 1 at-fault accident. Be able to lift 30 pounds comfortably. Be able to work at night and split-shifts. We are a thriving, well-funded start-up. We dispense fuel to commercial vehicles in the Bay Area. You will drive a company refueling truck to customer locations and refuel the fleets of vehicles using an automated pump similar to a gas station. You will get the opportunity to work closely with the founders and be able to learn the operations of a growing startup. There is plenty of room for advancement, for the right candidate. We are looking for skilled drivers with people skills, ambition, and the flexibility to work at a fast-paced startup. New hires receive on-the-job training from current team members.